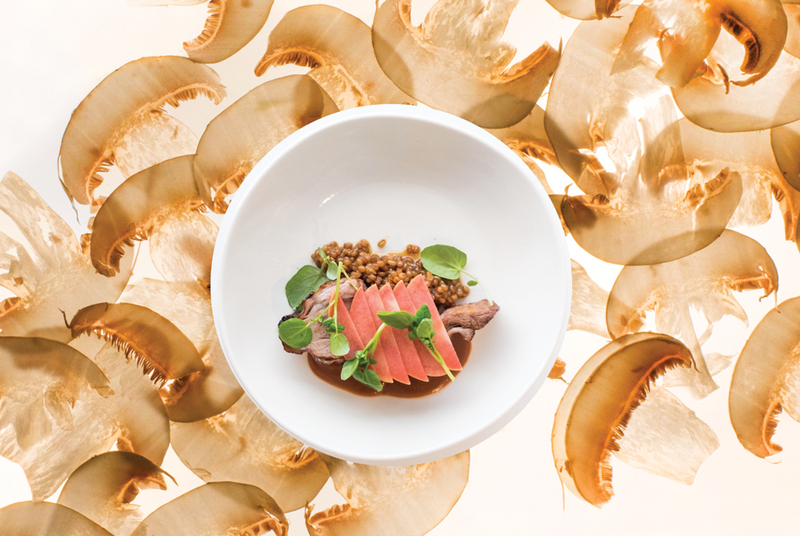 Located in the Walker Art Center, chef Doug Flicker and his team celebrate seasonal ingredients at Esker Grove restaurant. Located adjacent to the Minneapolis Sculpture Garden in the entrance to the Walker Art Center, chef Doug Flicker and his team celebrate seasonal ingredients at Esker Grove. Esker Grove is open for lunch 11am - 3pm followed by afternoon happy hour and snacks with dinner service beginning at 5pm. Brunch is available Saturdays and Sundays at 10:30am. Patio dining is available weather and season permitting. Closed on Mondays. ESKER: An esker is a long ridge of gravel and other earth where water from a retreating glacier or ice sheet accumulates. This represents the flow of guests, between the Walker Art Center, Sculpture Garden, Walker Shop and surrounding communities. GROVE: A grove is a small group of trees, or in this case, a place for people to gather surrounded by modern art, nature and food.